We’ve been away from the studio, out in the big wide world, so we’ve been eating lunch elsewhere. But happily we are back in our snug studio. Chive and garlic shoots are up in our gardens and Saint Patricks Day lore says it’s time to plant our potatoes. Oh yes, Erin go bragh—Ireland forever! 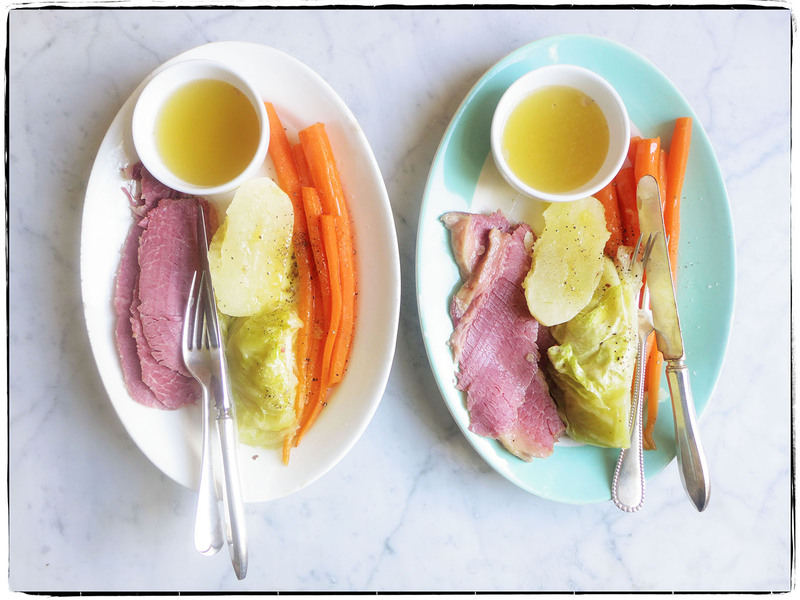 In today’s honor lunch is a boiled dinner of corned beef and cabbage, potatoes, and carrots. Even though there is nothing green on the plate, it tastes like spring to us. Van Morrison is crooning through the speakers and we are both wearing green.